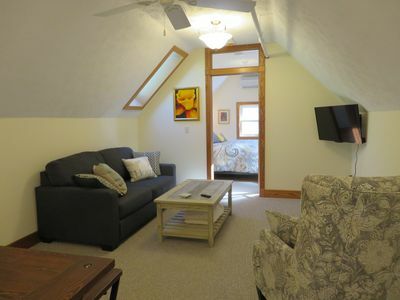 The Old Town Cottage, centrally located in Traverse City, is a long term (30 night min.) 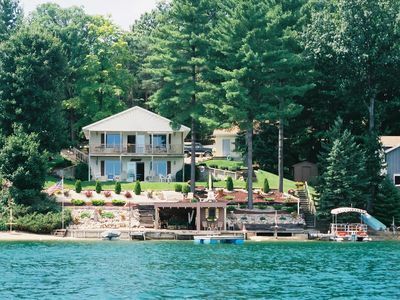 vacation or executive rental. 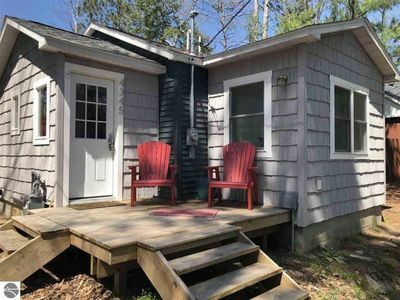 Perfect for families, couples, retirees, artist retreats, romantic getaways and executive/corporate rentals, this charming and comfortable 3 bedroom cottage is the perfect rental for those seeking the best of Traverse City. This century-old cottage retains its old world charm while offering comfortable modern amenities. Guests will find easy parking with one garage space plus additional off-street parking. The main room has original hardwood floors and a gas stove fireplace. A bluetooth enabled sound system lets you bring your own music. All three bedrooms offer ample closet and drawer space. A beautifully remodeled bathroom has a deep soaker tub for a relaxing bath. 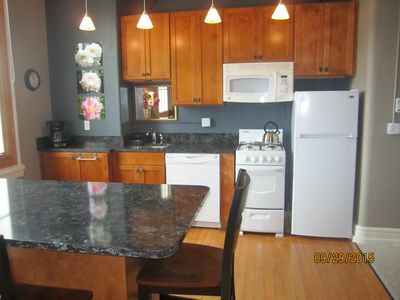 If you prefer to cook, the kitchen is fully stocked with all of the equipment you'll need to prepare a gourmet feast. Need some inspiration? There is a collection of cookbooks available for your use. A comfortable living room provides a flat screen television and AppleTV with many streaming services to access with your personal account (Sling, Hulu, Netflix, etc). Wireless, high-speed internet access is available throughout the home. Enjoy a hot cup of tea and a good book on the quiet, enclosed back porch. Prefer to socialize? 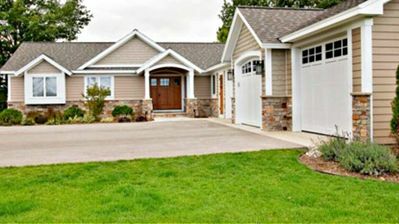 Relax with a nice glass of wine on the sun-soaked front porch and chat with the neighbors as they stroll by. 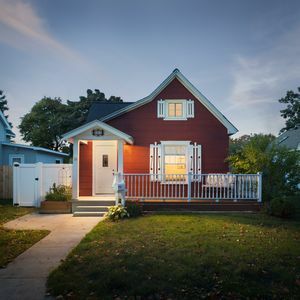 This enchanting, historic cottage offers the opportunity to enjoy Traverse City as the locals do. The Old Town Neighborhood is located just south of Downtown Traverse City. 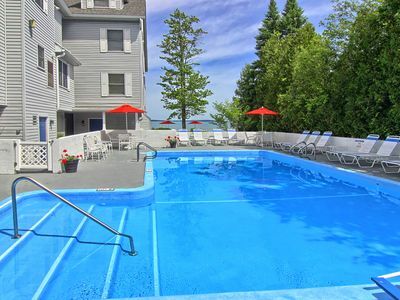 You will be a short ten minute walk away from the heart of town and only a 15 minute walk from the beaches of Grand Traverse Bay. Within the neighborhood is the Oryana Natural Foods Market. This community co-op has been around since 1973 and offers most, if not all of your grocery needs. Pick up some local wine, beer and cheese or take a morning stroll down to the adjoining cafe for a cup of coffee. Wander down to the south end of Cass Street and you come accross the Traverse City Whiskey Co., makers of velvety smooth bourbon whiskey. Have a seat at the bar in their tasting room and enjoy a fine cocktail. A little further south brings you to the famous Right Brain Brewery where you'll find a large selection of locally brewed, innovative and sometimes curious beers. No trip to T.C. is complete without a trip to Right Brain. 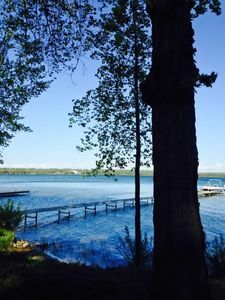 Bordering the the east side of the neighborhood is Boardman Lake and River, a perfect place for a walk, run or bike ride on one of the many TART (Traverse Area Recreation and Transportation) trails. TART trails extend over 60 miles within T.C. and beyond. 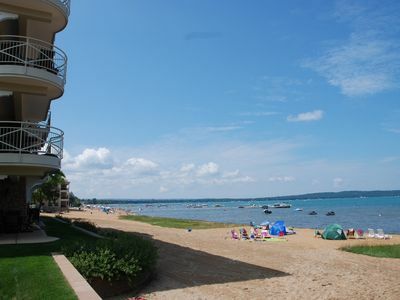 As you explore the rest of Traverse City, you'll be amazed by the many options you have for dining and entertainment. As mentioned, it is only a quick 10 minute walk to the many shops and restaurants of downtown. 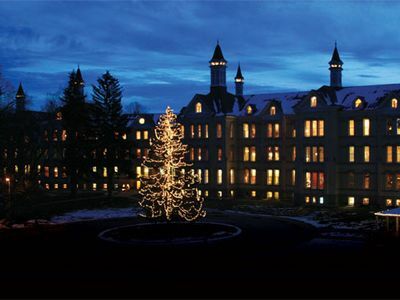 On the west side of town, check out the historic architecture of The Village at Grand Traverse Commons along with it's many galleries and eateries. Love craft beer? T.C. has been recognized by Draft Magazine as one of America's new emerging beer towns. The T.C. 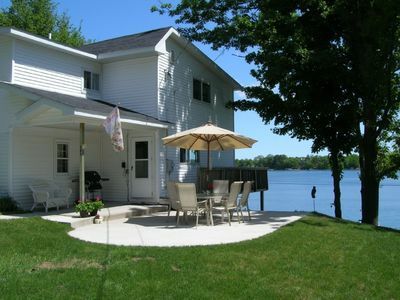 area has over a dozen local breweries, most with walking distance to the cottage. 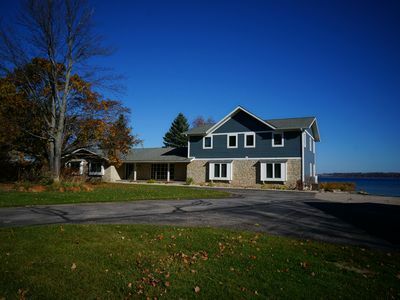 Just north of town are the scenic wine regions (AVAs) of Old Mission Peninsula and Leelanau Peninsula. 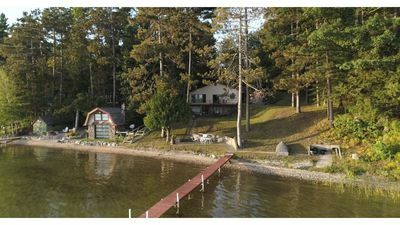 These peninsulas are sheltered from the northern winters by the waters of Lake Michigan and Grand Traverse Bay. Dozens of wineries produce gorgeous still and sparkling wines and can be toured by car, shuttle or bike. 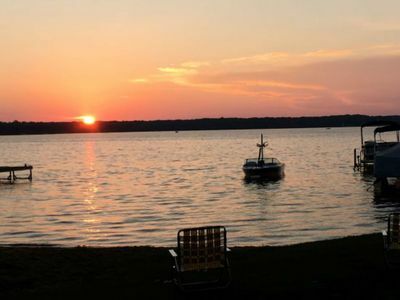 The Traverse City area offers a plethora of outdoor activities by land water or air. 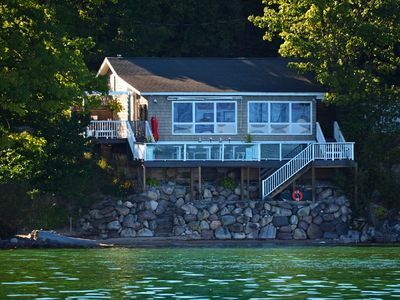 Hiking, mountain biking, sailing, fishing, kayaking, skydiving and more are at your doorstep. Enjoy one of the many beautiful and challenging Golf Courses in the area, including the highly praised courses of Boyne Highlands and the Jack Nicklaus designed Grand Traverse Resort. The outdoor fun doesn't end in the Winter. Traverse City is a popular destination for snowshoeing, snowmobiling, cross-country and downhill skiing. The ski areas of Boyne and Crystal Mountain are accessible day trips from the cottage. Of course, the jewel of Western Michigan is Sleeping Bear Dunes. The Dunes have been called one of the most beautiful places in America. Climb the dunes to endless views of Lake Michigan. Scuba dive at one of the many shipwreck sites. Ferry over to the Manitou Islands for a day of exploration. The Dunes offer endless hours of activity and nature. The list goes on and on. 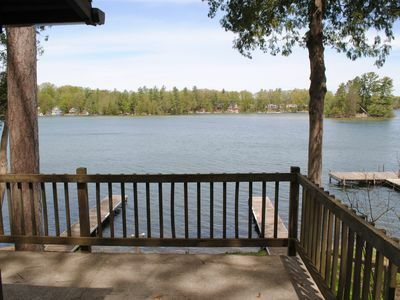 From the many art galleries and cultural activities to the Carrribean-blue inland lakes and historic towns. 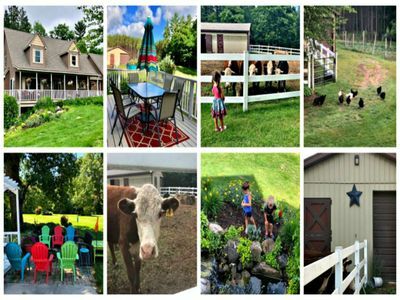 You will never run out of things to do in the Traverse City area. 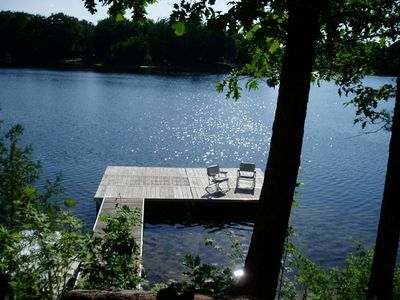 Of course, a relaxing day around the cottage is always an option as well. Winter Warm Up, Wineries of Old Mission Peninsula. Annual VASA Festival of Races in Traverse City held at the Timber Ridge Resort, Traverse City. Traverse City Microbrew & Music Festival, downtown Farmers Market area. The Traverse City Winter Comedy Arts Festival. HBA Home Expo, Grand Traverse Resort. Restaurant Week in Downtown Traverse City. Suds & Snow, Timber Ridge Resort, Traverse City. Hunting & Fishing Expo, Grand Traverse County Civic Center. MARVAC Camper & RV Show, Grand Traverse County Civic Center. Traverse City Boat & Outdoor Show, Grand Traverse County Civic Center. Up North Lake & Cottage Show, Grand Traverse County Civic Center. Traverse City Women's Expo, Grand Traverse County Civic Center. Traverse City Chocolate Festival, Opera House. Blossom Days, Wineries of Old Mission Peninsula. Senior Expo, Grand Traverse County Civic Center. Traverse Colantha Walker Dairy Festival, Grand Traverse Commons. Divas Uncorked, Wineries of Old Mission Peninsula. The Traverse City Wine & Art Festival. Old Town Arts and Crafts Fair, Union Street. Old Town Classic Vehicle Show. Crooked Tree Outdoor Art Fair, Northwestern Michigan College. Horse Shows by the Bay, held in Acme Township at Flintfields Horse Park. The Traverse City Film Festival. Classic Boats on the Boardwalk, downtown Traverse City. Paella in the Park, Clinch Park. Downtown Art Fair, Cass Street. Traverse City Summer Microbrew & Music Festival, The Village at Grand Traverse Commons. Taste of Traverse City . Paddle Antrim, Ellsworth to Elk Rapids. Northern Home and Cottage Home Tour- September. Northern Home and Cottage Home Tour- October. Children's Book Festival, City Opera House. Iceman Challenge Mountain Bike Race from Kalkaska to Traverse City. Business Expo, Grand Traverse Resort. Great Macaroni and Cheese Bake-Off, Old Mission Peninsula. Zonta Club of TC Festival of Trees. Festival of Trains, History Center of Traverse City. CherryT Ball Drop, Front & Cass streets. 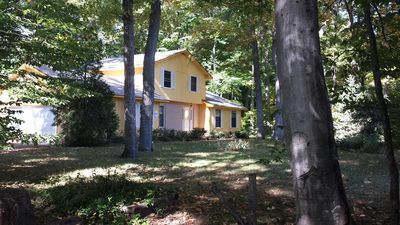 The Old Town Cottage is a mere 15 minute drive from the Cherry Capital Airport which offers year round direct service to Chicago-O'Hare and Detroit. Seasonal direct service is offered to NYC-LaGuardia, Newark, Atlanta, Denver and Minneapolis. You can fly to Traverse City from almost anywhere in the world with only one connection! There is currently no train service to T.C. although there is talk of future service. The closest Amtrak station is in `Grand Rapids with continuing bus service to T.C. The S.S. Badger and Lake Express operate car ferry service from Wisconsin to Michigan. 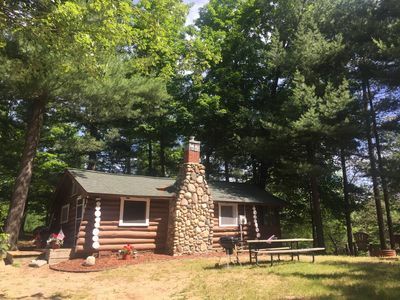 While the cottage is within easy walking distance to many sights and attractions, there may be times when you want to venture out a bit. Car rental service is available at Cherry Capital Airport (Hertz, Enterprise, Alamo, Thrifty, Budget, Avis, National. While there is no Uber or Lyft service in T.C., there are various taxi companies that can get you to your destination. There are also many shuttle and tour companies that can be taken to the dunes or to any of the wineries. BATA is the local transit authority, offering bus service in T.C. and beyond. A stop is located just around the corner on Tenth and Cass. There are over 60 miles of TART trails in the area. Bike rentals and tours are available through Grand Travers Bike Tours. Enjoy The Serenity Of This Quiet Corner Unit Surrounded By History.